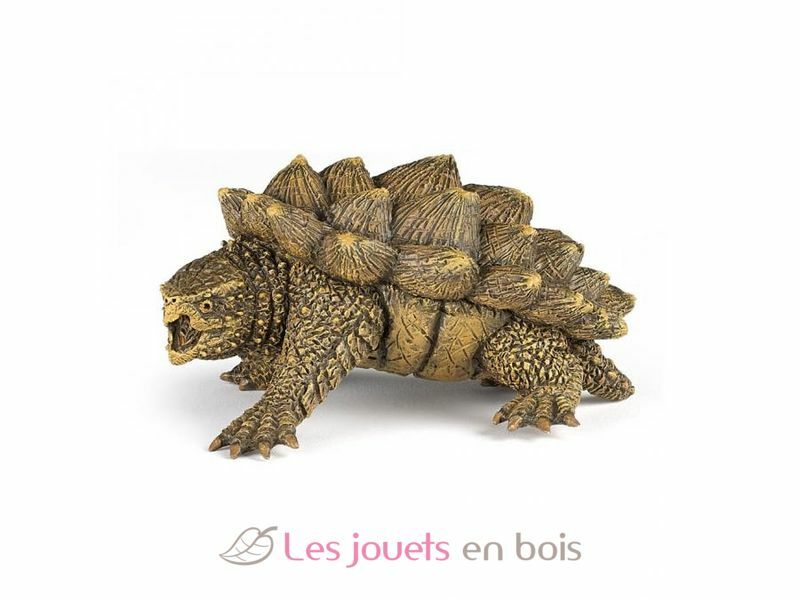 Do you know that the alligator snapping turtle can not get his head in his shell because it is too broad and imposing? The alligator snapping turtle, fearsome freshwater predator is native to the United States, it has a very powerful jaws and sharp beak capable of cutting a finger net. It is the largest freshwater turtle and weighs nearly 100 kg for 80 centimeters. It has large raised scales on the back unlike the smooth-shelled turtles known. 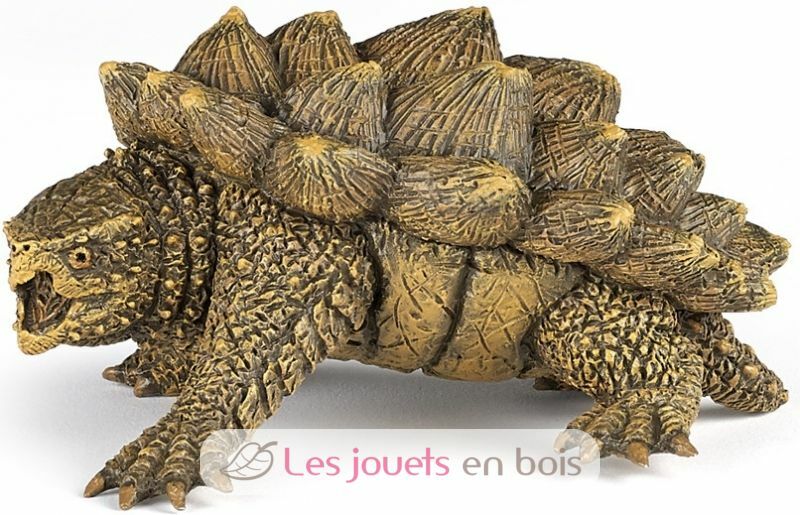 It is this aspect of dinosaur serrated back that earned him the alligator turtle name. alligator snapping turtle, a pretty figure on the subject of wild animals, carefully painted by hand and modeled very realistically. Papo figurines will soon become the basis of a collection to enrich gradually awakening and discovery for your child.